Time NFC Attendance app is an Android application with a single idea in mind while creating it. To be easy to install and use. This application for Android devices gives you complete autonomy and control over the input data. 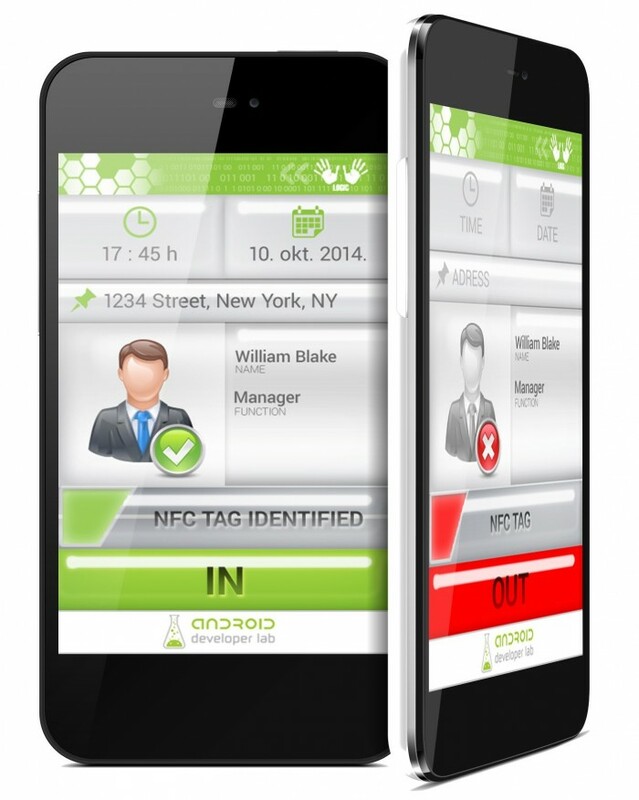 Time NFC Attendance app is an ideal solution for outside of an office job. Home service and installation technicians, home health providers, housekeeping and maintenance staff, delivery personnel, the whole variety of service providers and other employees who are on the move, can pricesily track their working hours, even at remote locations. The very fact that this application doesn’t require an internet connection, makes it very interesting to distribution drivers, field sales executives, insurance agents, etc. All the logs that an employee registers during the day (check in, check out, lunch break, etc. ), are being stored and will be synchronized as soon as the internet connection is established. It is essential to have punctual records on employee’s work presence. By providing accurate data on working hours, overtime, latency, sick leave etc. , it is much easier for the management to calculate salaries, without any misuses or malversations. Entering relevant data into the application’s database, whether it’s check in or check out event, is much easier by using NFC tags and fobs. Employees may use their existing NFC tags and fobs, that are even being used for other purposes. Tag’s unique identification number (UID) is simply dedicated to user’s profile and records on a particular event will be stored on Cloud TnA Web application. This way, employees are not obligated to carry around several NFC tags or cards. One dedicated tag with it’s UID provides sufficient data for work hours recording. One of the options that became very popular among employers is setting a geographical perimeter. POI is allowing employees to check in or check out only on specified GPS location. Restricting application’s availability to a certain location will ensure that employee will not check in to work while he is still on his way to work or even worse, while he is at home. This way, checking in or out is not demoralizing responsible and punctual workers. Therefore, executives could penalize any attempt at manipulating the Attendance application.